Three Oaks Beauty! 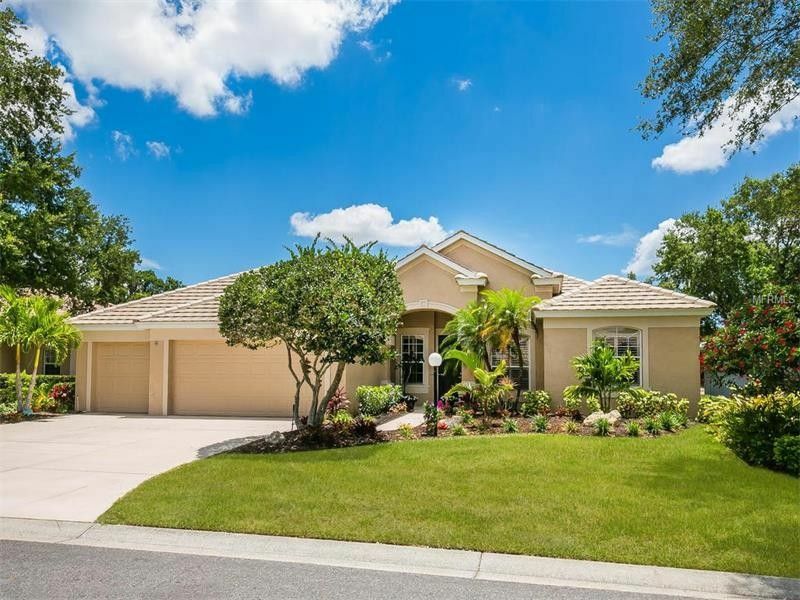 Welcome home to this lovely Lee Wetherington-built pool home with a terrific open floor plan design, four bedrooms, three full baths and an office or den. Your kids or pets will be safe and sound with this lovely fenced and landscaped backyard with views of the pond. Or take a dip in this self cleaning pool and enjoy the views from th screened pool and lanai area. This meticulously maintained home needs absolutely nothing! Move-in ready is this home's name! Highlights include a high-end stainless steel appliance package with granite counter tops and closet pantry in the kitchen. Three of the bedrooms and the den/office feature wood flooring and new paint. Upgraded second bath is perfect for guests or family. Pocketed sliding doors combined with the volume ceilings, maximizes the roomy living space. The rare three-car garage is perfect for the car enthusiast. Abundant storage throughout. This is the perfect location for I-75 commuters or a quick ride to world renowned Siesta Key Beach or bike ride to The Legacy Recreation Trail. This section is in the A+ Sarasota School District, including Riverview High School on this side of Proctor Rd. This home needs to be seen in person to be fully appreciated. 24-hour notice so schedule your appointment now! Driving Directions: From I-75 drive West on Proctor Rd., turn left on Gantt Rd. into Three Oaks neighborhood. Turn right on Cedar Oak Blvd. and take a left on Cedar Oak Way. from Cedar Oak Way turn left on Oak Grove Court and the is on your right hand side.